April 2019 – things to do! 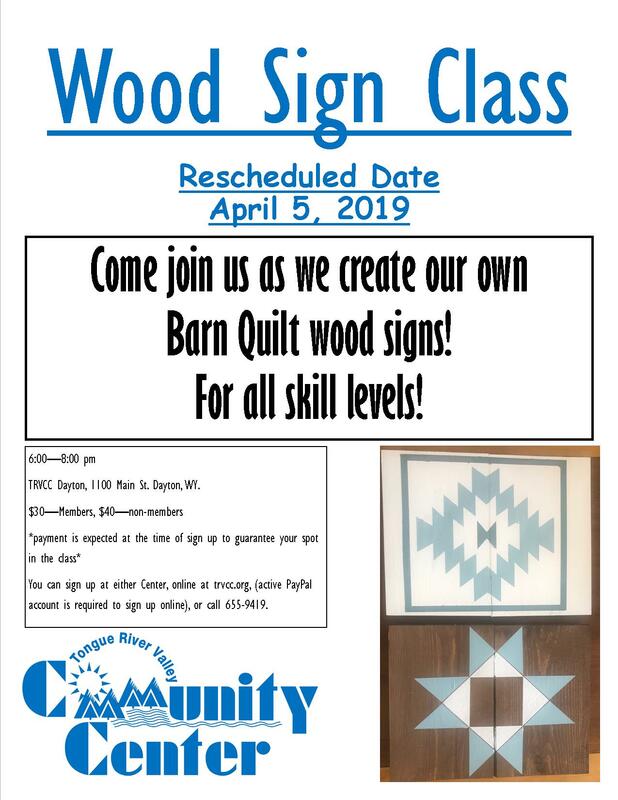 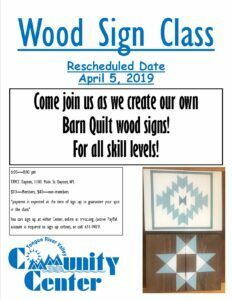 4/5 – Rescheduled Wood Sign Class @ Gallery on Main – Dayton. 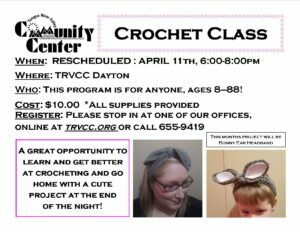 4/11 – Rescheduled crochet class – Bunny Ears! 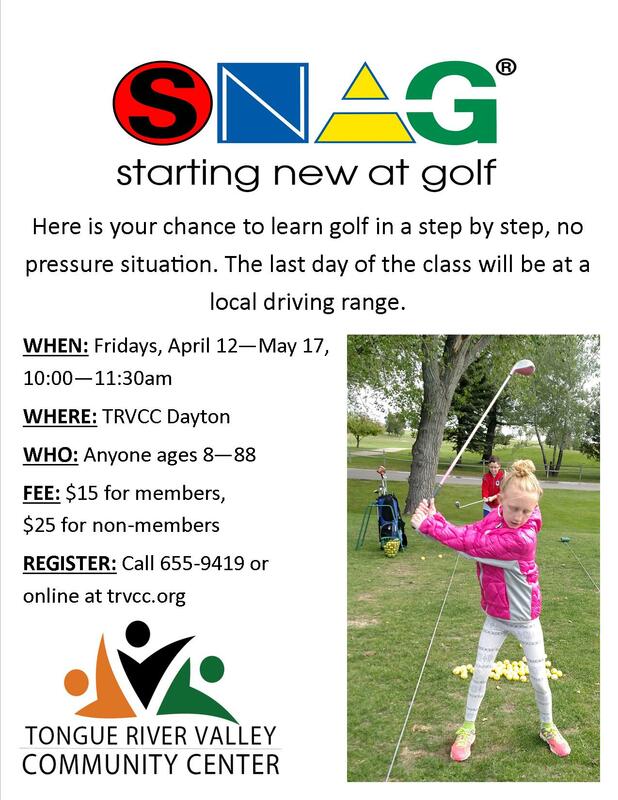 4/12 – Starting New at Golf (SNAG) – ages 8-88. 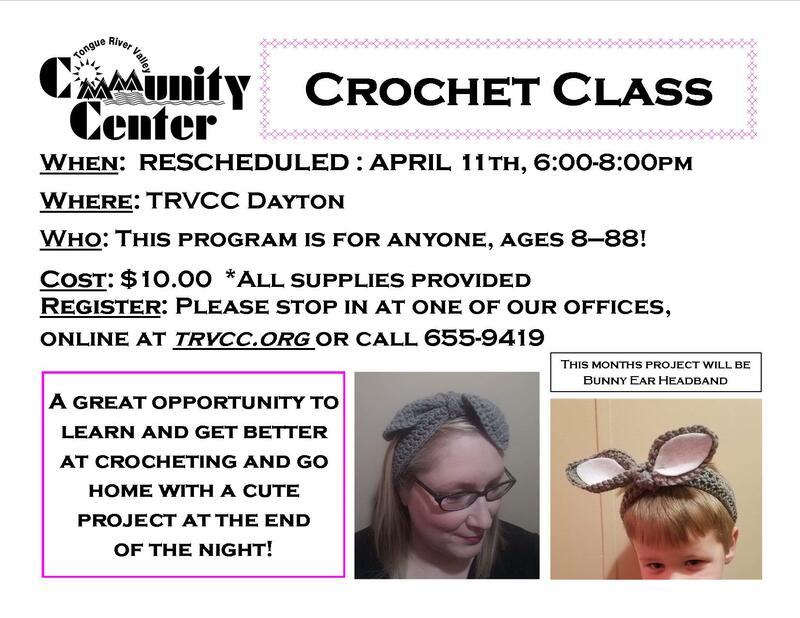 4/19 at TRVCC Ranchester 6-8pm. 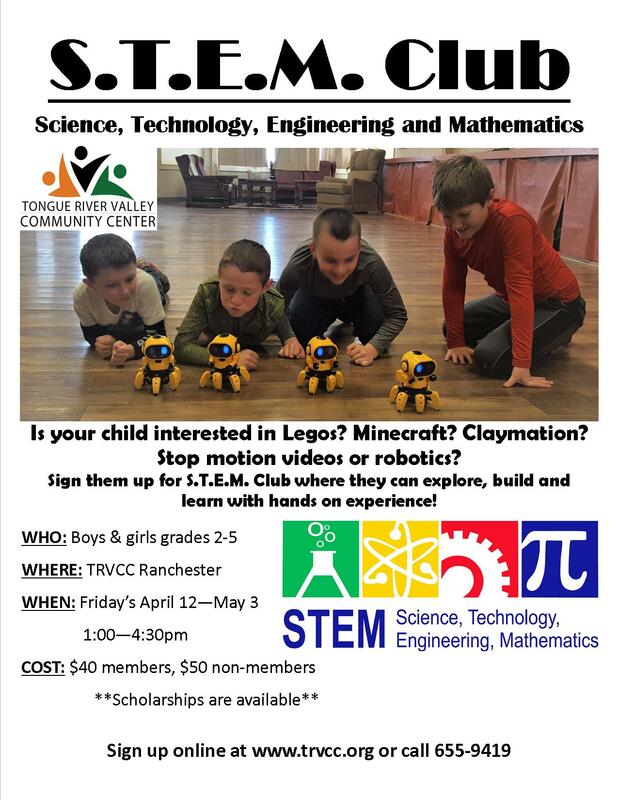 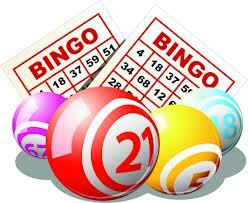 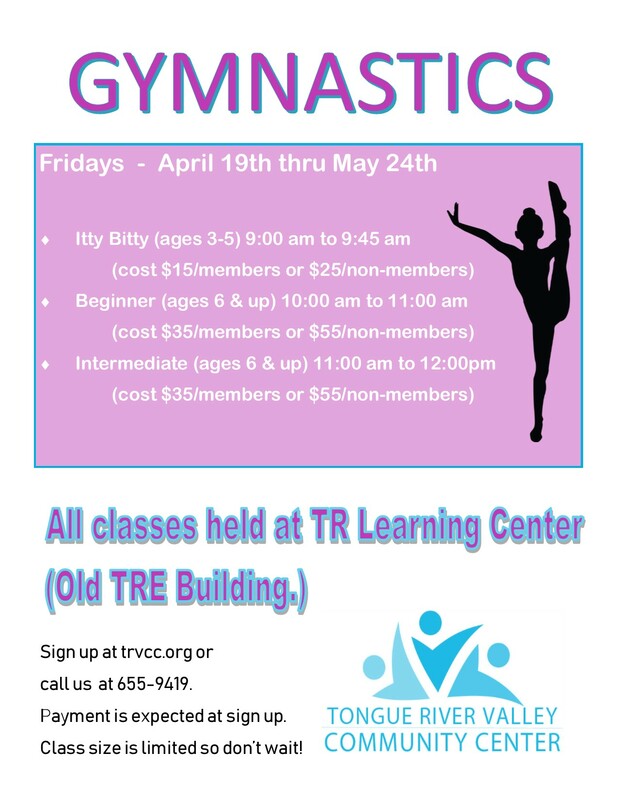 Bring the family for an evening of numbers and snacks provided by TRVCC. 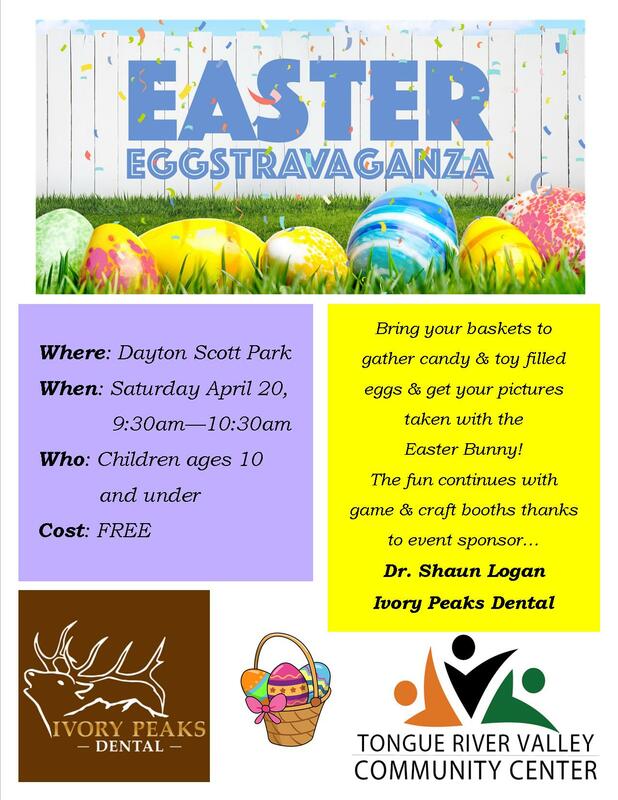 4/20 – Easter Egg Hunt! 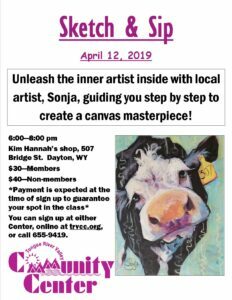 4/26 – Night out with Dad family event. 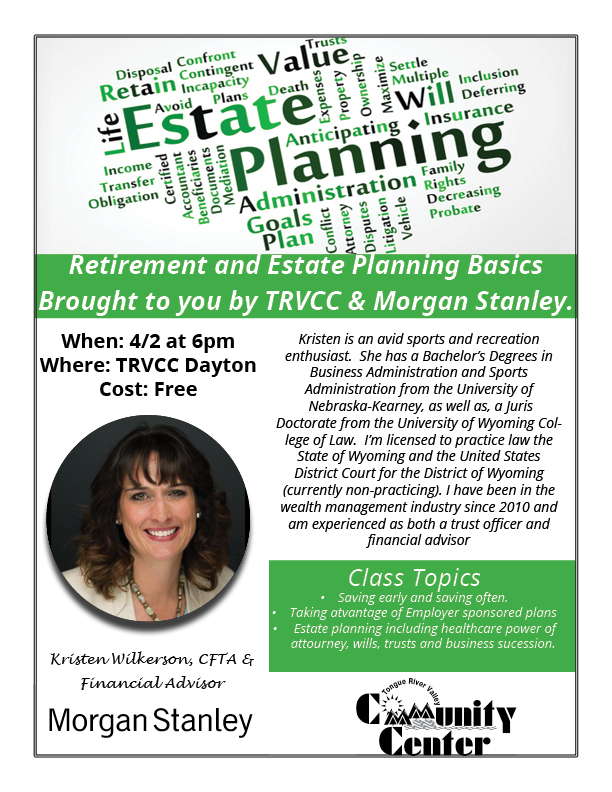 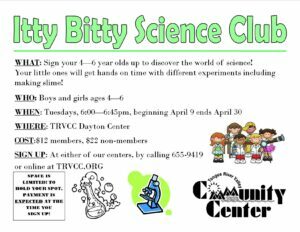 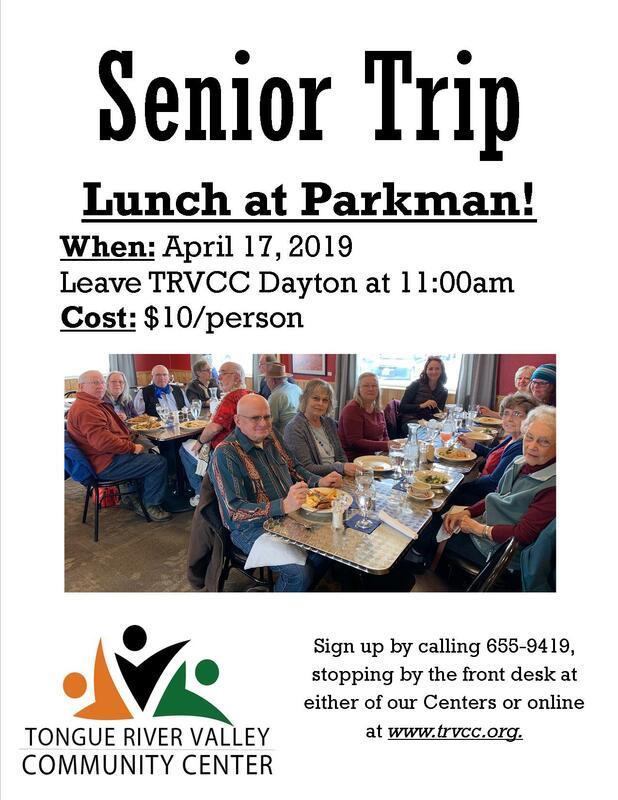 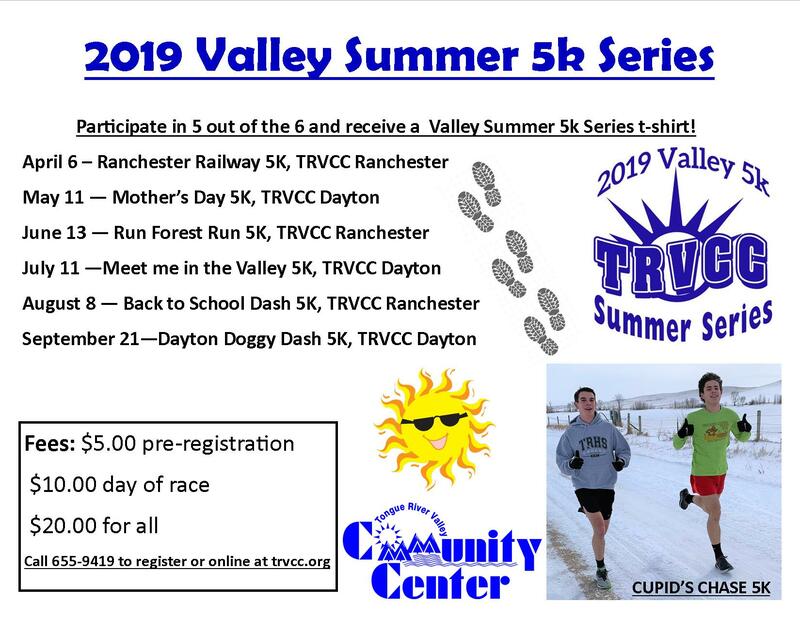 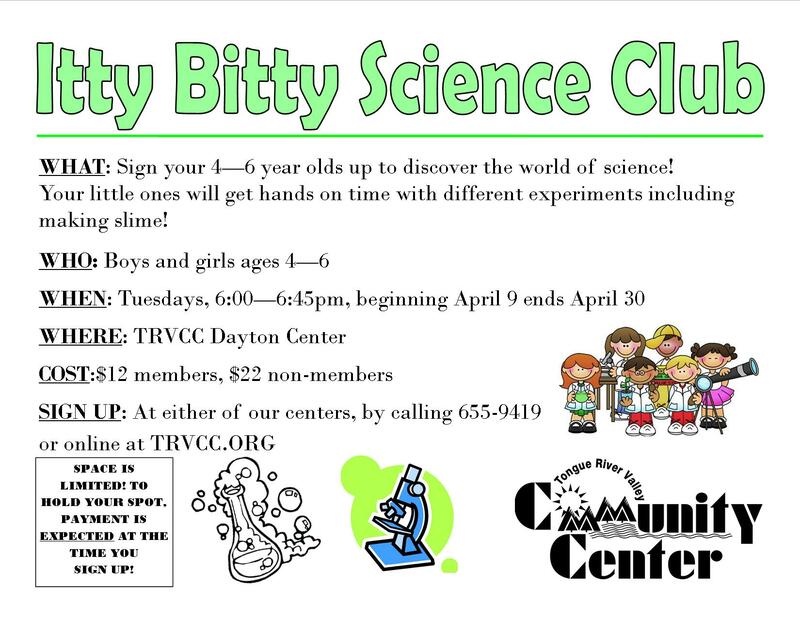 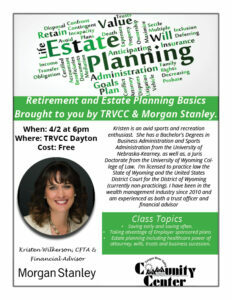 TRVCC Dayton. 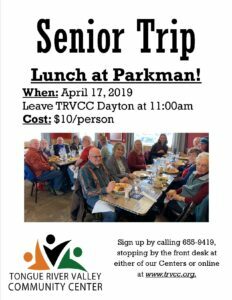 4/27 – Volunteer Appreciation Breakfast and Membership Meeting. 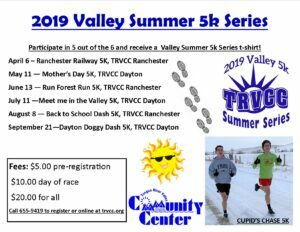 8:30am TRVCC Ranchester. 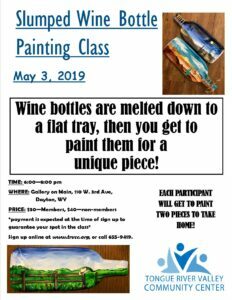 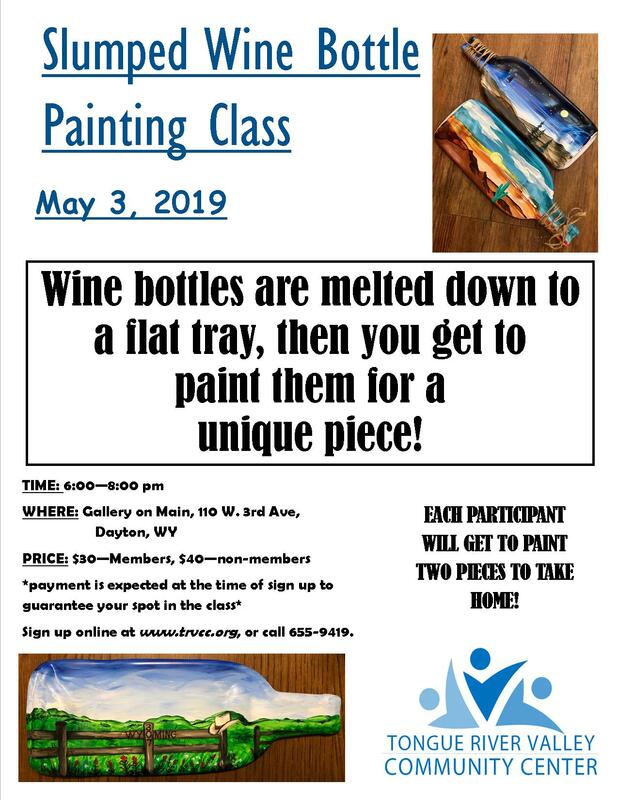 5/3 – Slumped Wine Bottle Painting class at the Gallery.